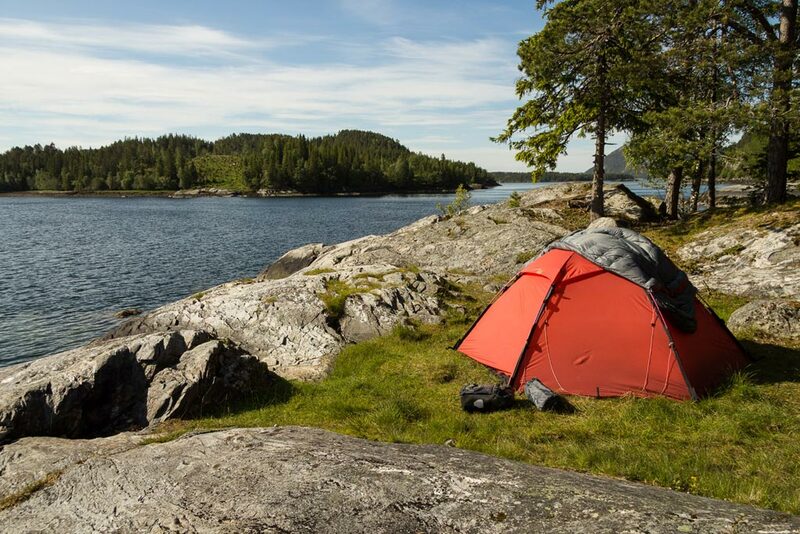 When walking through the Sarek National Park in Sweden – “Europe’s last wilderness”; traveling on skis and sled across the Hardangervidda in Norway; bicycling back and forth across Iceland; canoeing on Swedish lakes, or, as I have now been doing for one and a half years, bicycling around the world, it’s nice to have a home. My home weighs just 4 kg, has 5 square meters of space, fits comfortably on my bike or in a backpack and, within 3 or 4 minutes, is pitched up in a place of my choice. No mailbox, no fence, no “private property” signs; just a home with a view over oceans or mountains, sometimes hidden deep in the forest or somewhere lost in the vastness of a desert, or under the tropical sun or under billowing northern lights. Some call it “a tent.” Hilleberg calls it “Staika.” I call it “my red castle.” Castle is not by chance, as it withstands the elements literally like a castle. 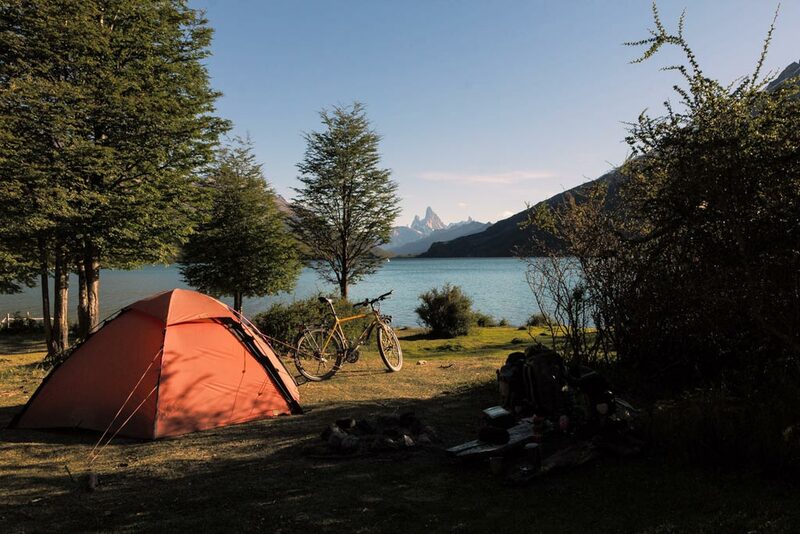 While other tents at a campsite in Torres del Paine park were blown into the adjacent lake, I was sitting relaxed and smiling in front of my Staika and wondering if it was really necessary to beat the last 6 of the 16 possible pegs into the ground. Whether it’s a snow storm in Sweden, a hail storm in Iceland or a storm with hurricane force blasts in the Patagonian pampas, my Staika stands like a castle. The available space for a solo traveler is luxurious, but all my luggage fits into the two large vestibules (both provided with entrances), so the luggage is protected from wind, weather and prying eyes and still comfortably accessible from the sleeping bag. And if you get a visitor, that visitor doesn’t need to sleep in front of the door. Outer tent, inner tent and (optional) footprint are linked together, so pitching is fast and easy and the inner tent stays dry even in hard rain. 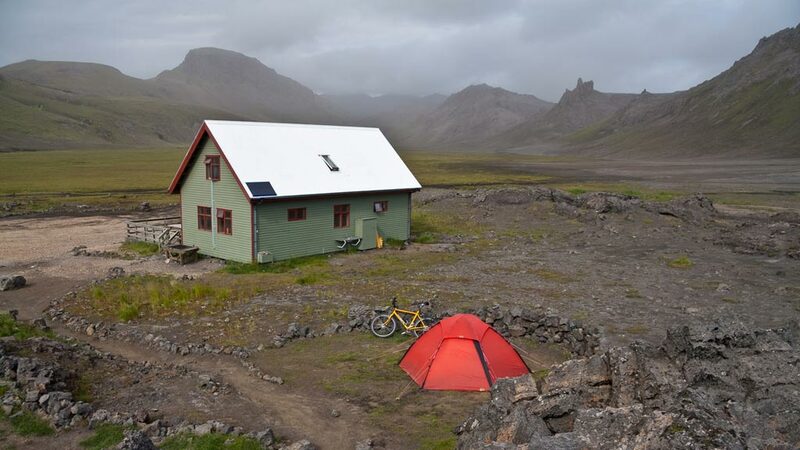 Because of the linking, the home is easily changeable into a spacious garage – without inner tent – where I can fix my bicycle while staying dry, or invite some neighbors in for a small tent party. Or the other way around: the inner tent can be set up separately so unloved critters stay out and tons of fresh air comes in. 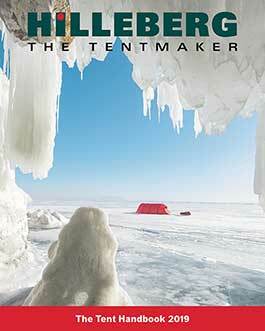 I’ve learned to really love the free standing design: without a single peg the tent stands up securely on any surface. All that, the excellent materials, the high quality workmanship, a lot of good detailed solutions (like the clip system for quick pitching) and many hundred nights inside made the Staika a true home. My home is my red castle.